The Bliss Carman ring has arrived! 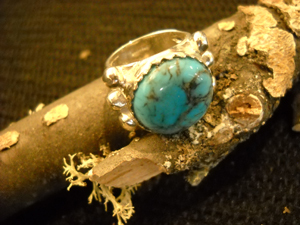 Part of the Bliss Carman Banff Centre Poetry Award first prize is a jeweller-made replica of poet Bliss Carman’s ring.This ring will be presented to Jennifer Still at THIN AIR, the Winnipeg International Writers Festival, this September. (It fits Janine too, so if it mysteriously disappears before that momentous event . . .) Congratulations again, Jennifer!